This is a guest post from Jerry Low. If you’re on the web, your site and blog are likely unique – but one thing all blogs have in common is the drive for new subscribers and increased traffic. In the past few years, we’ve learned about the power of going viral – every blogger’s dream. But going viral is not always something that you can plan… or is it? Going viral isn’t like catching the fabled leprechaun – it does exist. At square one, you’ll need two things to make it happen: (1) Great, unique content, and (2) Crazy awesome outreach and promotional skills. Here’s the thing – 99 percent of us don’t have that fat wad of cash sitting around that huge marketing campaigns require. Additionally, with respect to #2, 99 percent of us don’t have access to insider information – which is why it’s very hard for the “little guy” to go viral. Note: very hard does not mean impossible; it can be done if you are smart and hard working. Take, for example, Richard’s post on Link building tools – the post, published early on in Clambr’s days, received 2,000 FB likes, 100+ Google+ +1s, and 300+ tweets… no chump change. Early on – with little expendable budget – done thanks to great content and great social media and outreach skills. If your post isn’t easily sharable, the odds of it going viral are slim at best. The most basic element of going viral is ensuring that your content has easy pass through via clearly visible social sharing icons. 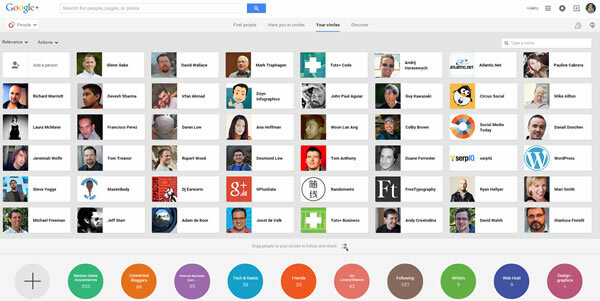 Use a Click-to-Share plugin (as Garrett Moon suggested earlier) if it helps. Beyond share-ability, you need to have your other basics aligned. 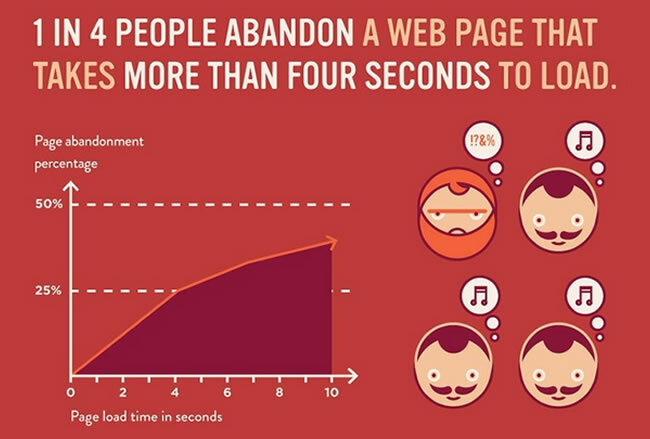 For starters, make sure that you blog loads fast enough – slow loads lose visitors. Additionally, within your actual post, make sure that you have a clear call to action – if you’re wanting to go viral, make sure that you ask your followers and readers to share your content – clearly and visibly. And finally, make sure that you have the SEO fundamentals down – your site and post need to be easy to find through search engines. You can’t go viral if you’re saying the same thing as everyone else – you have a better chance of getting your content read when a topic is trending (and you’re on the forefront of it or offering a unique perspective). It’s common sense why trending content gets higher click-through rates on social media; that’s the content people are interested in. But beyond the “Trending on Twitter” feed, you can also use Google trends to find search trends – from there, it’s about creating relevant, quality content on that topic. List posts are notorious for increasing SEO ranking – but they’re also notorious for attracting readers (why else do you think sites like BuzzFeed and Tumblr have exploded). This list format is appealing because of the unique topics, original insight, and easy readability. In fact, after analyzing 100 million articles, Noah Kagan from OkDork concluded that list posts receive more average shares than other types of blogposts. ‘Nuff said. Beyond that advice, though, are the studies that suggest that positive content is more likely to go viral than negative content. For example, this study from U Penn that considers how emotions affect virality. Bloggers often stick to the magic 500 words for posts – but did you know that, statistically speaking, longer posts with higher word counts are more contagious? Of course, correlation isn’t causation. In my opinion, longer posts tend to get more social media shares simply because the more verbose posts have an opportunity to offer more value to the readers. The takeaway? Don’t cut yourself off for fear of exceeding 500. This one seems like common sense, but all too often, we count the number of shares, rather than the quality of them (talk to anyone measuring social media clip counts and you’ll get an earful on the topic). From the same study in tip three, Noah Kagan found that the average shares are generally higher if you manage to get more influencers to share your content. 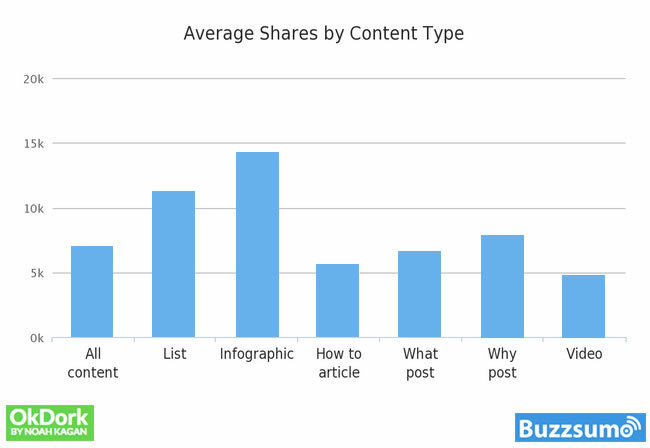 In fact, having just one influential person share your content can result in 31.8% more social shares. Expound upon that by having five influencers share your content – this can nearly quadruple the total number of shares. Quality, not quantity. Make a point to connect with – and build relationships with – influencers in your industry. People’s attention spans for web content are shockingly limited – and continuing to shrink. Again, we direct your attention to the success of sites like Pinterest or Tumblr that rely on minimal content with lots of images. A bold, relevant photo speaks volumes to your viewer – so consider using a photo or GIF instead of a big old block of text. Need more reasons to rely on imagery? Here are 19. Facebook, Twitter, and Google+ are undeniable social media giants – but there are plenty of other worthwhile social media sites out there. Take SlideShare, for one – this site gets about 120 million views each month. Or Pinterest which, as of July 2013, had more than 70 million users. That’s huge! Video has been a huge asset in the marketing world since the TV era first bloomed. And, it has continued to grow. More than 100 million people watch videos online these days and, thanks to modern technology, it’s crazy easy and cheap to create unique videos yourself. From instructional how-to’s to product overviews, vlogs, etc., the opportunities are endless – and if you aren’t taking advantage, you’re simply missing out. Need some incentive? Check out these 100 video stats and facts. You must understand who are your targeted audience and how they are using each social media channel. Yes, as a blogger you are likely working from the comfort of your home or office or local Starbucks. You do not have to sit down face to face with your audience. But that does not mean you don’t need to know them. Think about your ideal reader – Who are they? Where do they live? What makes them smile? What makes them feel like they can’t resist clicking on that Facebook share button? Study your competitors – Spy on their blogs, follow their hashtags and see what events or online hangouts they are attending. Research your targeted audience via different media – Literature, interviews, movies, school programs, or even TV and radio shows. Is there anything you may turn into a great post or article? Segment your followers and if possible, treat them differently – For example, readers on ProBlogger.net might be interested with blogging topic but not into WordPress tutorials (they could be using Typepad, Blogger, Tumblr, or even Square Space). To get maximum engagement rate, think of a way to feed personalized content to your followers. While you can’t force your content to go viral (by definition, viral means other people are sharing your content with growing momentum), you can give it a boost so that it’s more likely to get picked up. Do these 10 things and you’ll be well positioned to take the internet by storm. Have something I missed? Share it below in the comments.